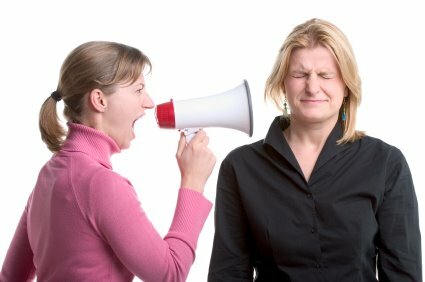 “The Do’s and Don’ts of Talking to Converts” is now up on MyJewishLearning.com. Hopefully enough people will read it that us converts won’t have to worry about all the little humiliations I mentioned int he piece. Previous Post Is Your House Evil? Mine was. Aliza, I read your article and while interesting and thoughtful, I find that a couple of personal events bring a slightly jaded set of eyes to your article. This part: ” Indeed, the Talmud (Bava Metzia 58b-59b) forbids us from oppressing converts by treating them as anything other than a regular member of the tribe..”This is a real irritant to me, because I’m NOT accepted as “one of the Tribe” by anyone other than the Reform and Conservative people I know. You may see where I am going here. I had a short, deep and very “spark-filled” conversation with an Orthodox rav who said simply, in reply to my application to join his shul ” You aren’t Jewish enough”. No. It didn’t mean I wasn’t interested in Orthodoxy, it didn’t mean I could have considered an Orthodox conversion (and what is so different than what I do as an observant Conservative Jew to the Orthodox except wear pants and have a child’s level of Hebrew?) I guess in my opinion that all Jews should be accepted by other Jews, I get disillusioned. It’s a huge reason I won’t go to Israel. Sit in a bus with a mechizta (barrier), not hear a male singer, not daven at the Kotel? WT…? What happened to Herzl’s idea that ALL Jews are to be welcome, not a select few? Those were the sort of questions I had discussed with this rabbi. _I_ don’t see the problem here, but I couldn’t convince this rabbi. So, I go along my path and Hashem? Well, we are just fine, thank you. He seems not to have a problem with my intentions..or observant level. Great article, I thought you hit all the right points. Well-written, too! Thanks for putting that info out there . . .
What a very interesting lead. Since my girlfriend is a convert as well I always try and be careful with what I say.This past Shabbat as we were walking with another couple we had just met, they were asking about our background. I was not going to say anything about her conversion because I figured it was not my place. Once I over heard her tell his wife I assumed it was ok to mention it, but did not go into any specifics.It is always an interesting conversation but its not my place to bring up. If we wants to then I will join in, but I will not be the one to bring it up. Nice article Aliza! Excellent suggestions.Ultimately we can rely only on Hashem – that’s what these situations remind of .